This recipe idea came from my friend Debbie who is a vegan and teaches vegetarian and vegan cooking. I misplaced her recipe, but sort of recreated it the best I could. I hesitate to call these “pancakes” because even though they look like pancakes, they taste and feel quite different. They are dense like a bowl of oatmeal. 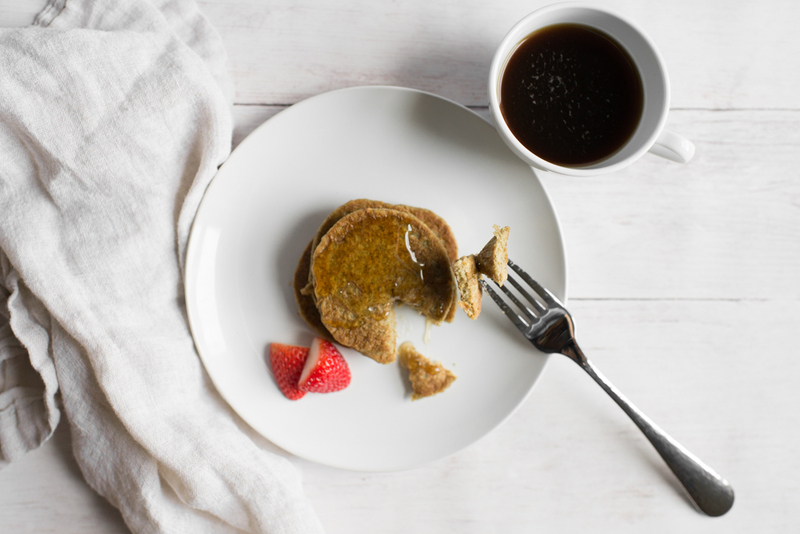 Imagine a yummy bowl of oatmeal that looks like a pancake! I used almond milk which was delicious, and the banana adds a nice sweetness. Make sure you have a good blender so that the oats get really ground up. A food processor would also work well. This is a great gluten-free breakfast if you use gluten-free oats. Heat nonstick pan or griddle to medium and spray with cooking spray. Combine ingredients in a blender or food processor until smooth. Add additional milk if necessary to form a thin milkshake consistency. Drop 2-3 large spoonsfuls of batter onto the pan. Cook on each side about 1-2 minutes until golden brown.